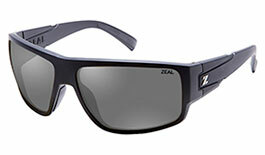 If you like Zeal sunglasses then you will love our range of Zeal Optics prescription sunglasses. 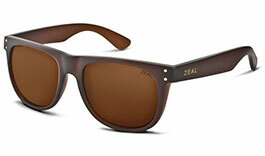 You can expect the same brilliant quality from Zeal's prescription sunglasses as you do their non-Rx range. 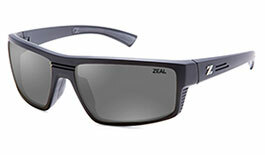 Zeal's Rx lens is superior to standard polycarbonate. With enhanced clarity you can enjoy crystal clear views like never before. 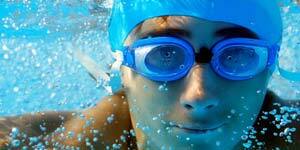 What's more, these lenses meet ANSI standards for impact protection making them ideal for an active lifestyle! 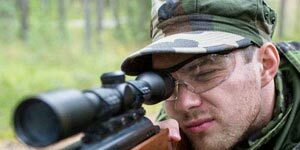 A polarised filter comes as standard on lenses from the entire range, practically eliminating the blinding effects of reflected glare. 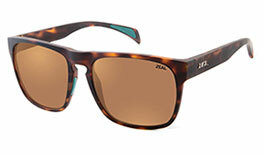 All of Zeal's prescription products are made at sister brand Maui Jim's zero-waste lab in Peoria, Illinois. 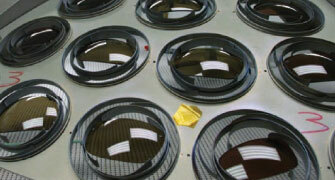 This 25,000ft state-of-the-art facility is renowned for consistently producing lenses of the highest quality. 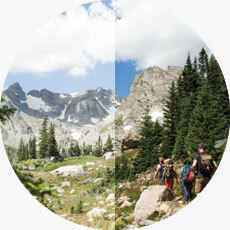 Zeal are based out of the city of Boulder in Colorado, amongst some of the most spectacular landscapes in North America. 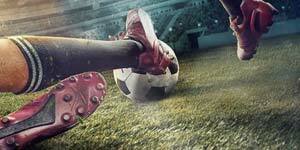 It's from this environment that Zeal have drawn inspiration for a product range purely for outdoor living. 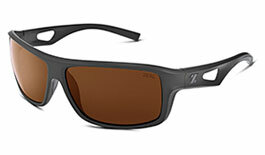 Polarised lenses come as standard with every single Zeal frame. 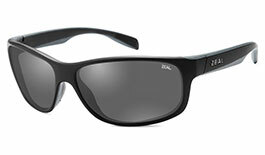 This means you are assured exceptional visual comfort and clarity, completely glare free. 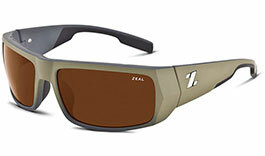 Zeal prides itself on its low-pollution, renewably-sourced Z-Resin frame material and Ellume lens material. Find a range of shapes in this range catering to a selection of tastes. 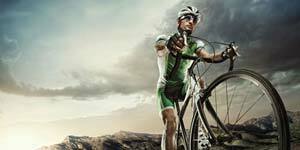 Sporty, retro, masculine, feminine, functional and everything inbetween can be found here! 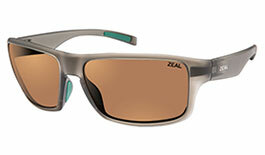 Zeal in particular specialise in wrapped frames, perfectly suited to active lifestyles. If you like Zeal sunglasses then you will love our range of Zeal Optics prescription sunglasses. 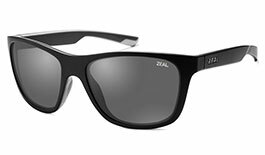 Made in house at Zeal's Digital Rx lab, you can expect the same brilliant quality from Zeal's prescription sunglasses as you do their non-Rx range. 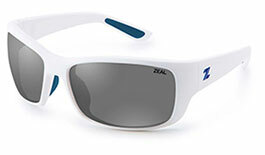 Zeal's sunglasses were crafted for use in the outdoors, with the prescription range you can take your trailblazing one step further! 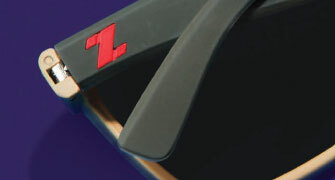 Zeal strive to make every one of their frames compatible with your prescription and your lifestyle. Every prescription lens is digitally processed, ensuring you get the highest accuracy and optically efficient prescription possible. 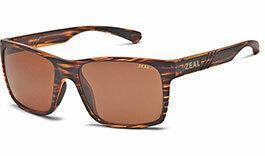 Zeal produce all prescription orders at the Maui Jim lab in Peoria, Illinois, USA. Their 25,000 square foot state-of-the-art Digital Rx lab has received high praises from the world over for unmatched turn times and the highest quality. 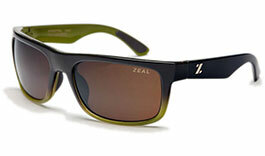 As part of their commitment to sustainability, Zeal produce all prescription lenses in their zero-waste lab. 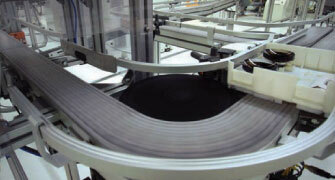 They recycle or re-use all excess lens material produced during processing for the manufacture of other products, nearly 200,000 pounds per year. 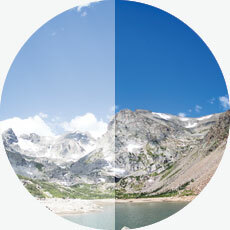 Ellume Polarised revolutionises the way you see color. Made with plant-based materials, it is engineered to be as sustainable as it is technical. 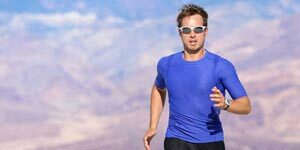 Polarised lenses block reflected glare to keep the most intense light from making vision hazy and causing you to squint in brighter weather. Zeal’s plant-based material allows for a high-purity lens for crisper, clearer vision all while reducing environmental impact. 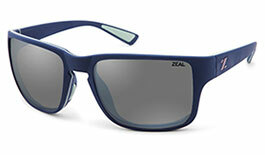 Zeal's sunglass frames are designed to perform wherever you go, to help you make the most of the great outdoors. 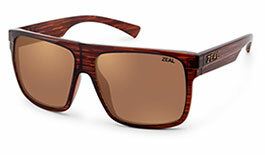 What's more, to help keep the outdoors great, Zeal use renewable materials to craft frames that give peace of mind with high specifications and environmental sustainability. 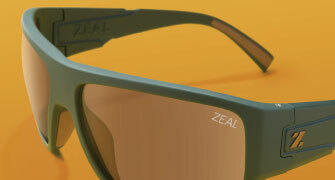 Zeal Optics sunglass frames are made from Z-Resin, a plant-based material derived from the castor plant. The castor plant is a fast-growing perennial that is easy to plant, withstands drought, and thrives on marginal lands. 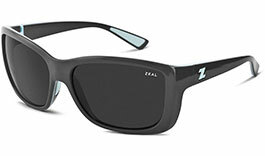 Zeal process the castor beans into their proprietary Z-Resin material which replaces petroleum-based plastics in their frames. By replacing traditional plastics with Z-Resin, the amount of CO2 produced during the manufacturing process is significantly reduced. 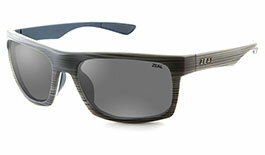 This durable plant-based material also gives a lighter finished weight, making Zeal sunglasses more comfortable for everyday wear and activity. 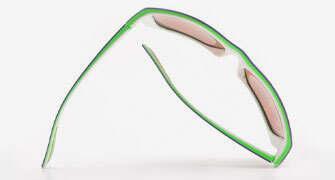 This unique material is strategically injected into various parts of the frame to provide a soft and comfortable hold. 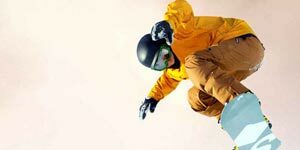 ProFlex can withstand extreme hot and cold temperatures so your sunglasses stay in place no matter what the day brings. The base curve defines how much curve a frame has. The higher the number, the more wrap the frame offers. 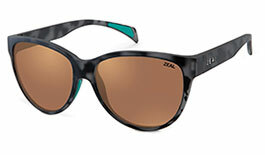 All Zeal Optics sunglass styles feature either a 6 or 8-base curve. 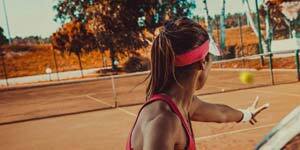 Styles with a 6-base curve are found in the Lifestyle Collection, and lay flatter on the face while 8-base styles provide maximum wrap for protection and are found in the Active Collection. The plant-based materials used in the construction of Zeal's frames contribute to a lighter finished weight than competitive products, making their sunglasses more comfortable for everyday wear and activity. 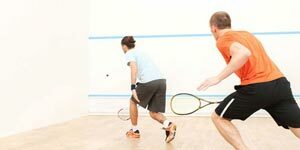 Innovative tooling allows us to place the spring hinge inside the body of the temple for a comfortable fit and flexibility to complement an active lifestyle. 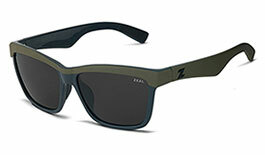 Zeal Optics prescription sunglasses are built with polarized protection, color filtration, and impact resistance for an unsurpassed custom optical experience. 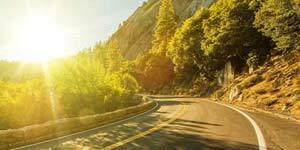 Reduces the intensity of bright sun and heavy glare so you see richer, truer color. 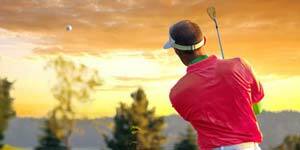 Enhances contrast in variable light conditions so you see greens, reds and blues more vividly.